Kyle Chandler is ready to be back in the long-form narrative television business. He made a pilot for Showtime called The Vatican, which didn’t get picked up even though Ridley Scott directed the pilot. There were behind-the-scenes issues galore, original showrunner Paul Attanasio left the show, and the expensive project turned out to be a huge dud. That was last month, and Chandler, who was cast as a Catholic cardinal in the failed pilot, will now be starring in a Netflix series described as a “family thriller” about grown-up siblings. It sounds like it’s on some East of Eden ish, centering on a responsible family man and his “black sheep” brother who comes back into the fold. Guess which one Chandler is playing? If you guessed “not the black sheep,” you guessed right. Chandler has become the go-to good guy. 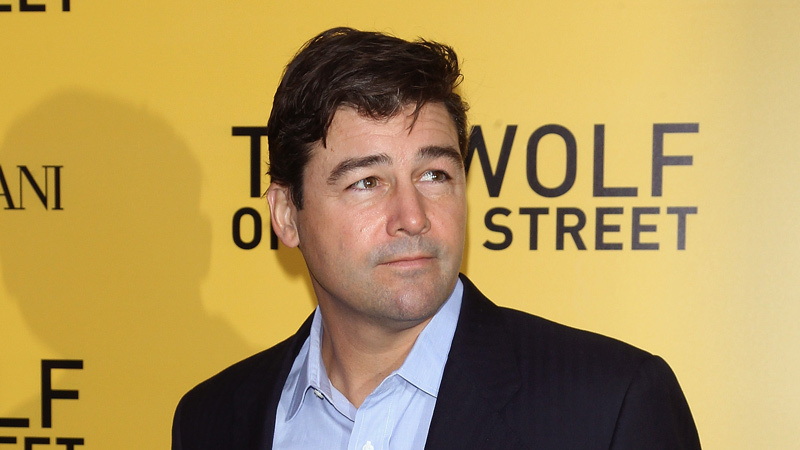 It’s a side effect of his performance on Friday Night Lights: Who wants to see Coach Taylor turn bad? But it might feel limiting to Chandler in a cable TV climate in which antiheroes with last names like Draper, Soprano, and White tend to reign supreme. Or maybe Chandler likes playing straight arrows and finds that it’s just as difficult (if not more so) to portray a man who is capable of refusing temptation. He’s a hardworking actor from Social Circle, Georgia, who’s been on a million TV shows and turned in solid performances every time. He logged modest hits with Homefront and Early Edition before gaining critical respect with Friday Night Lights. He’s also been on bombs like the Joan Cusack sitcom What About Joan and Rob Lowe vehicle The Lyon’s Den. He’s made a lot of TV movies. Although he’s been in movies periodically, like the George Strait and Lesley Ann Warren romance Pure Country and the excretory Peter Jackson remake of King Kong, it’s only recently that Chandler has become a secret weapon for movies in need of a white hat. Chandler is the face of the law, playing government servants in Super 8 (Deputy Jackson Lamb), Argo (chief of staff Hamilton Jordan), Zero Dark Thirty (Islamabad CIA station chief Joseph Bradley) and The Wolf of Wall Street (Agent Patrick Denham). In Wolf of Wall Street, Chandler’s Agent Denham is the movie’s conscience, giving its antihero a fairly matched rival that the audience can relate to. Denham is moral in a cinematic world where nobody else is, and he suffers the consequences for not selling out to the devil, embodied by Leonardo DiCaprio as Jordan Belfort (with Leo running at peak Jack Nicholson capacity). Chandler plays characters whose lot in life is humble, and who take satisfaction in doing their jobs well. Chandler’s new show comes from the team that created Damages, and is a soapy thriller about sibling drama coming to a head. Good thing that Noah Baumbach–helmed adaptation of Jonathan Franzen’s The Corrections at HBO is dead, I guess. Interestingly enough, Chandler was actually in the running for the role of Sergeant Nick Brody on Homeland. As brilliant as Damian Lewis turned out to be, it’s tantalizing to imagine an alternate world where Chandler played Brody. The goodness that Chandler projects onscreen could easily be flipped on viewers who should know better than to trust appearances. Somebody should put Chandler in a Western already. Let’s get the Coen brothers to remake Sam Peckinpah’s Ride the High Country with Chandler and Jon Hamm.